Geist! 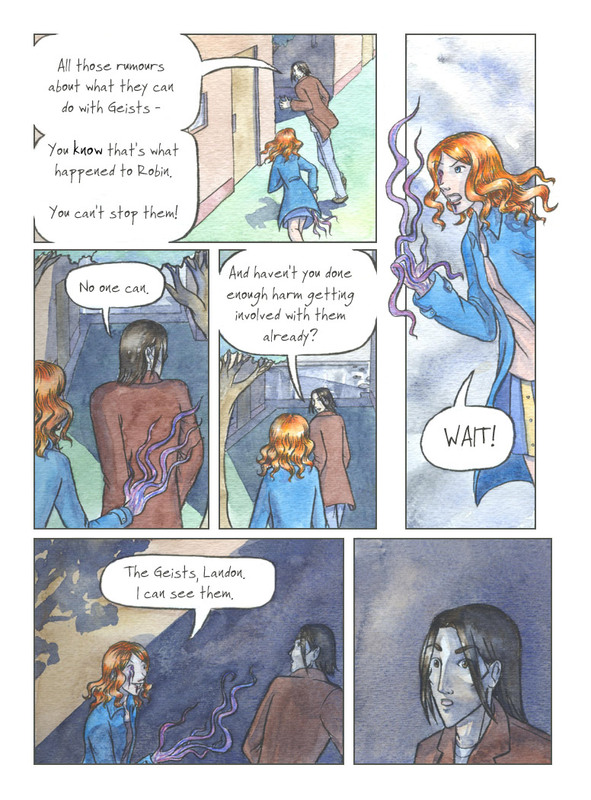 Page 80 – Geist! I think he’s still processing what she said. At least she did say it a bit clearer, and when they are a bit further away from everyone. Also: Seeing geists does seem to be a plus. Having her hand all wavy like that doesn’t seem to be.